Quality oozes from every aspect of this double-sided mattress. On the inside its built pocket springs and traditional fillings that provide plenty of support for the weary hotel guest. 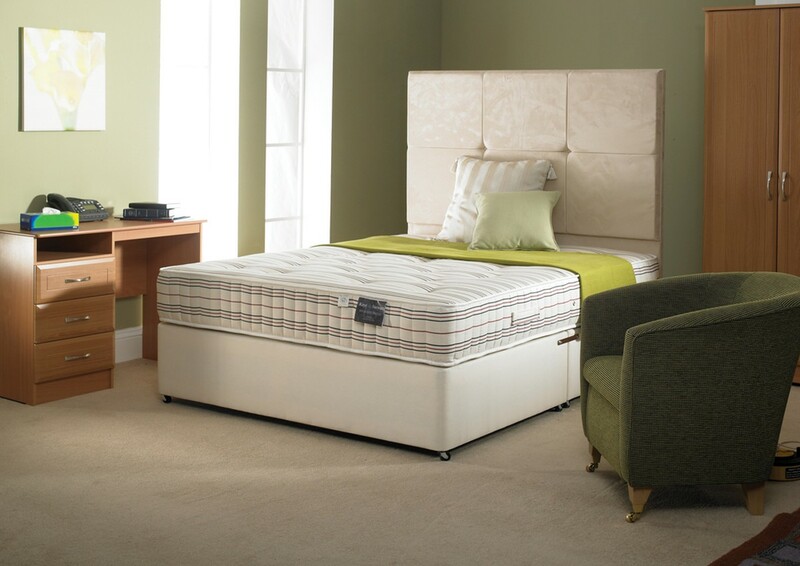 On the outside its upholstered in 100% natural Ecru Egyptian cotton that's both soft and durable in equal measure. We have many options available. Shallow Base on Chrome Legs in Cream Suede or Faux Leather finish. Available in black, brown & cream. Deep Base in Cream Suede or Faux Leather finish. Hand-side-stitched border to provide total edge-to-edge support. These are brand new & unused. Prices starting from £126.00, please call our sales team for more details.